Bolloré Energy is a key player in oil distribution and oil logistics in France, Switzerland and Germany. With work completed in 2017 to convert the Dépôt Rouen Petit-Couronne, located upstream of the Paris region and its airports, next year Bolloré Energy will consolidate its logistics operations in France. Bolloré Energy meets the oil logistics needs of its customers in France, Switzerland and Germany. With 2.2 million m3 in storage capacity distributed over 28 terminals fully or partly owned, 1.8 million m3 of which are in France, Bolloré Energy’s logistics network represents 14% of France’s storage of finished oil products outside refineries and caverns. The company owns 95% of Société Française Donges-Metz (SFDM), through which it operates the Donges-Melun Metz (DMM) oïl pipeline. Bolloré Energy is also a shareholder in Trapil, the main pipeline operator in France, and Raffinerie du Midi, one of the main oil storage companies in France. 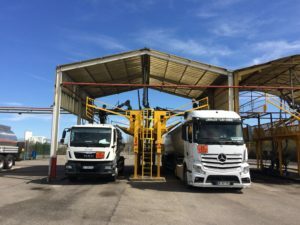 The company mainly distributes heating oil, diesel and off-road diesel through a network of more than 125 offices and secondary terminals located in France, Switzerland and Germany. 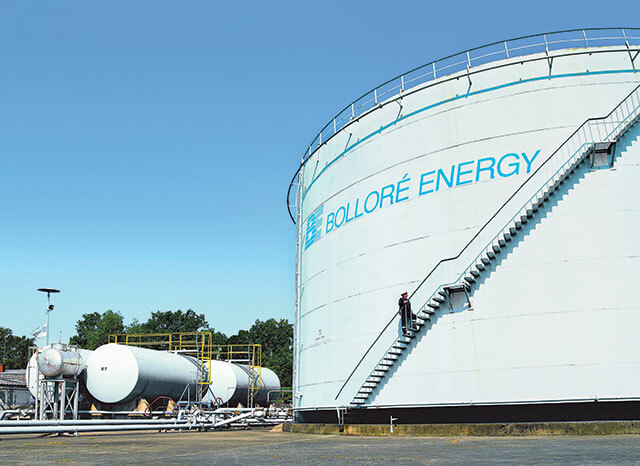 Bolloré Energy is the leading French independant distributor of domestic fuel, with a national market share over 15% and more than 600,000 customers. In parallel, Bolloré Energy is developing a range of technical services for its customers: boiler sale and maintenance, heating subscription and heat pumps. The Group works elsewhere in Europe as well, for instance in Germany under the Calpam brand with its network of 57 filling stations. Bolloré Energy aims to export its expertise all over the world, and particularly Africa, to carry out large-scale projects. Building on its expertise in the field of hydrocarbon transportation and storage, it is also developing a range of services for oil pipeline and tank-storage operators overseas.